Wireless contractors have recently raised the distinct possibility that due to what they identify as ‘onerous’ payment terms and other issues created by carriers and tower owners, the industry could see a shakeout, and all of the recent successful legislative moves to speed up the implementation of 5G in America could be stymied as cash flow problems keep contractors from expanding and taking on new projects. Recent anecdotal articles paint a gloomy outlook based upon a few contractor comments, but the correct level of concern and the state of the contracting industry is neither fully known nor verifiable. At the request of contractors and trade group officials, Wireless Estimator assembled vital industry leaders and company executives from large and small contracting firms to assist in developing a survey to assess industry concerns. A key carrier supplier also assisted in shaping the survey since contractors are a vital component to their success. 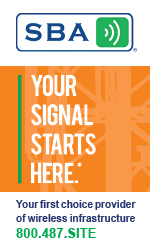 Available here (https://www.surveymonkey.com/r/Wireless-Contractor-Payment-Survey), contractors are being requested to take the confidential survey to evaluate the current state of wireless contracting in America. They’re also being urged to share the link on social media. The summary of results will be made public, and contractors are encouraged to participate. 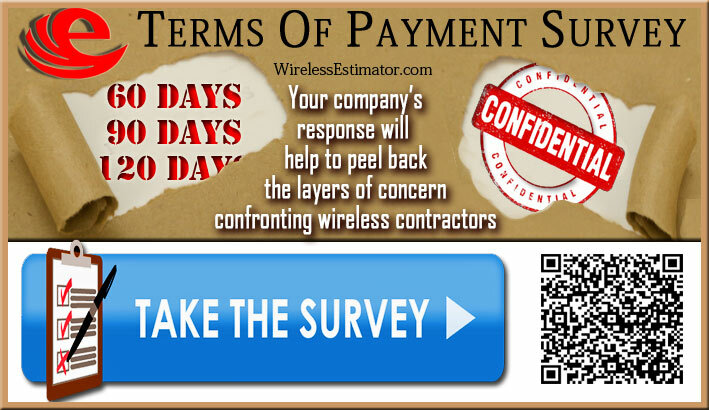 “I applaud Wireless Estimator for investigating extended payment terms and other issues with its extensive survey. These are issues that are currently plaguing the industry,” said National Association of Tower Erectors (NATE) Executive Director Todd Schlekeway. “This is a significant issue and one of the most pressing problems affecting the companies who have boots on the ground. NATE is adamant that we have to address it collectively as an industry, otherwise, this has the potential to significantly hamstring the deployment of 5G networks in the United States. The survey is an excellent tool to explore it further,” said Schlekeway. “I’m glad to see the contracting community come together to address this issue,” said a mid-sized Midwest contractor who assisted in designing the survey. “I’m hoping that this survey will provide the information to engage carriers to focus upon a long-term strategy of working with contractors and not against them. It will further ensure their success and prevent them from becoming an unattractive utility,” he said.